Though the malicious ones largely dominate the headlines, hackers have done more to help than hurt. 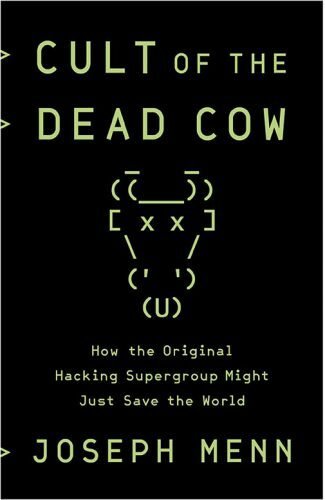 The story of Cult of the Dead Cow shows the many ways one group of hackers has helped make security a priority for many of those charged with keeping us (and our information) safe in our online world. While they operate mostly behind the scenes, members of Cult of the Dead Cow have had an amazing impact on our electronic universe. What started as a small group on a bulletin board, has grown to guide and transform numerous diverse areas of computer security. Members of cDC and L0pht Heavy Industries have advised the US Senate on security matters. They’ve headlined countless hacking and computer security conferences like DEF CON. The stories of their exploits (in both senses) are shared in this detailed story. Those interested in the history of computer security, this is a great read. For those who read their work and followed the cDC growing up, it’s a bit of a nostalgic trip, full of interesting details. There’s no doubt that the work done by cDc members throughout the years, and today, has made our online world a safer place. Their impact should be recognized and shared. Cult of the Dead Cow: How the Original Hacking Supergroup Might Just Save the World is a wonderful history of individuals that have shaped our world. Order your copy of Cult of the Dead Cow: How the Original Hacking Supergroup Might Just Save the World on Amazon now and learn more about the impact cDc has had.